This weekend is not going to be just another weekend. It's the eve of the Chinese Lunar New Year, kicking in on 26 January. It's definitely going to be a busy weekend for everyone. Many will be rushing back to their respective 'kampongs', to join their families for the reunion dinner on Sunday. In Malaysia, with its multi-racial communities, not only the Chinese but practically everyone will be joining in to celebrate the festivities. Even the non-Chinese will be busy, either visiting their Chinese friends at open houses on the first few days of the New Year or going for a short break somewhere. Most holiday destinations will probably be fully occupied while the big city like Kuala Lumpur will be deserted. I'll be celebrating right here, in the deserted big city of Kuala Lumpur. I'm happy to avoid the traffic jams along the highways and our 'kampongs'. Anyway, still have some visitings to do. Mustn't forget, tradition needs to be observed! I still have to pay respects to my elders ... me being the youngest in the family ... then there's Ray's family too. Nick should be enjoying it more, what with 'angpows' to collect during all the visits. Everyone will be back to work by next Wednesday but my office will remain closed until the following Monday, 2 February 2009. Wow! A total of 9 days' break from now. 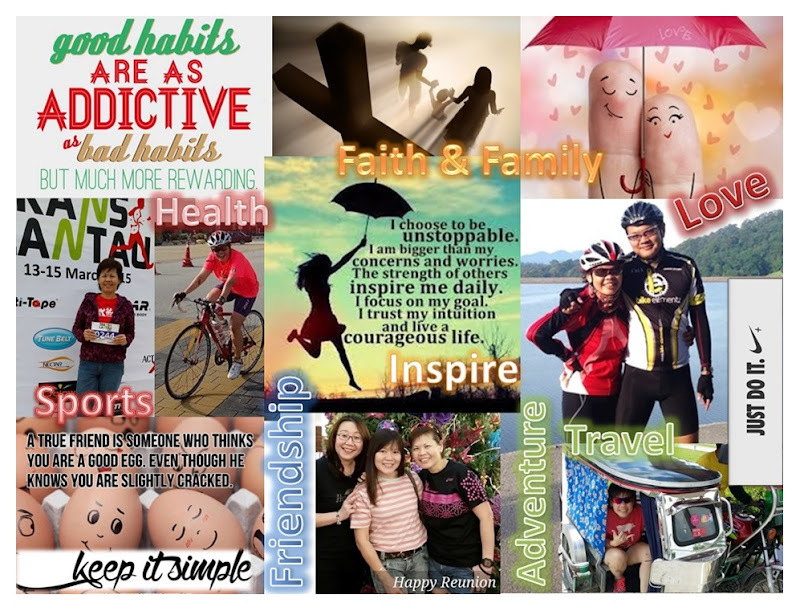 I'm sure going to enjoy this long break, fully occupied with my blogging, of course! Anyhow, a tinge of sadness though ... 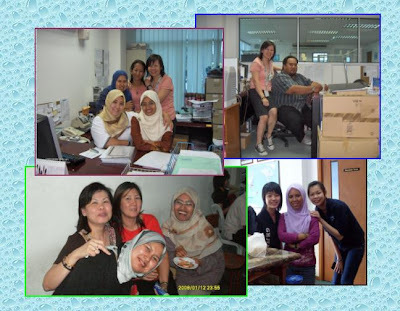 I'll sure missed the chumminess with my dear colleagues in the office, especially Mimi, Murni, Mariam, Budi, Cindy, Raina and Joan. As I didn't have the opportunities to wish everyone in the office earlier today, until I see y'all in 9 days' time, here's a HAPPY CHINESE NEW YEAR & HAPPY HOLIDAYS!! !